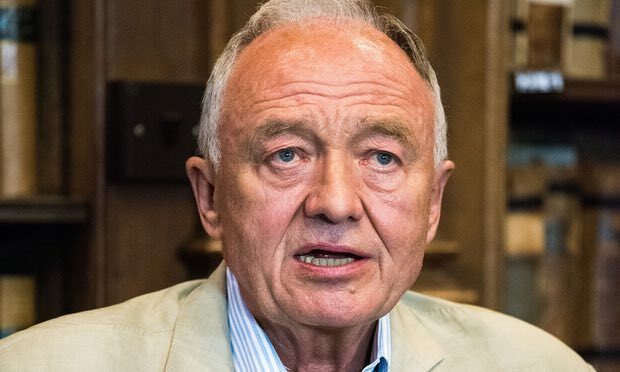 Ken Livingstone said he was happy with the influence Momentum had over Labour [Image: Roger Askew/Rex/Shutterstock]. He’s right – for reasons discussed on This Site previously. It is interesting that he is saying the 15 per cent rule had been brought in by right-wing Labour and has been used to deny positions of authority to left-wingers. Perhaps we should all bear that in mind when people like Tom Watson talk about left-wing conspiracies to take over the party. Who were the original conspirators? Ken Livingstone, the former Labour mayor of London, has said the grassroots group Momentum should be free to push for changes to Labour party structures that would secure Jeremy Corbyn’s legacy as a leftwing Labour leader. Livingstone said he was happy with the influence of Momentum on the Labour party. “Don’t try and block Momentum wanting to go back to the rules we had, that allow a leadership election to be open,” he said. Livingstone said the unpopularity of Labour in recent polls, currently about 19 points behind the Conservatives, was “not Jeremy’s fault, it’s people who undermined him for the last 18 months” and said the parliamentary party had “skewed to the right” under Tony Blair. Needs to go. Why not have a right wing restriction as well to prevent the Tory trojan horses ruling the roost. Sounds very undemocratic and unfair.